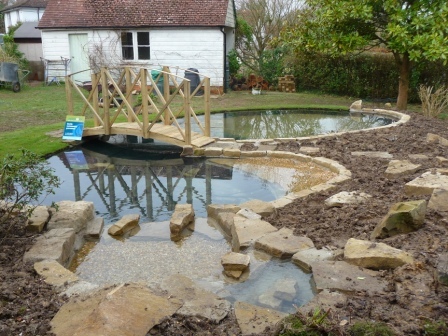 Our pond specialist Gavin really enjoyed putting his considerable knowledge of aquatics to good use on this recent project. 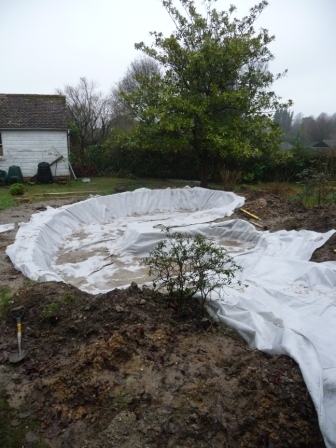 We were asked by a client if we could have ‘a look’ at the hole in the ground that their builder had dug for them to create a pond. 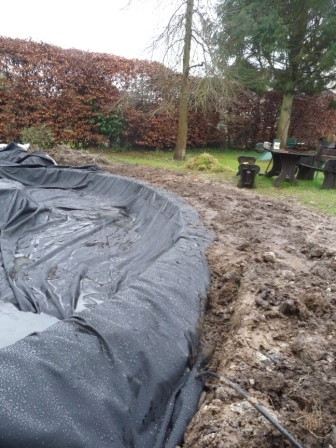 We quickly came up with a solution and ideas to make the hole in the back garden of this rural location fit with the property and style of the clients. 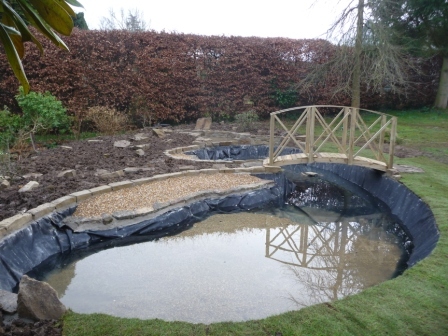 Gavin sourced all the equipment, pumps and liners required to build the pond and then the landscaping team set to work building the outline of the pond with concrete collar, deep pool and water fall, all to compliment the bespoke bridge that was to be the focal point of the pond. 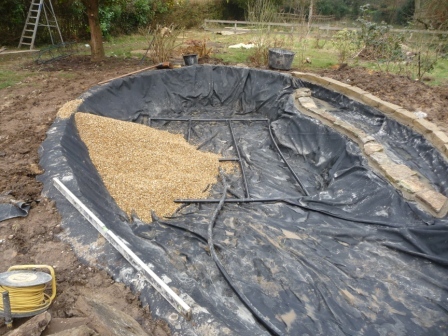 We installed a liner with underlay and constructed a under gravel filter to fit the pond, combined with some marginal areas for the rather knowledgeable client to plant out after we had gone home! 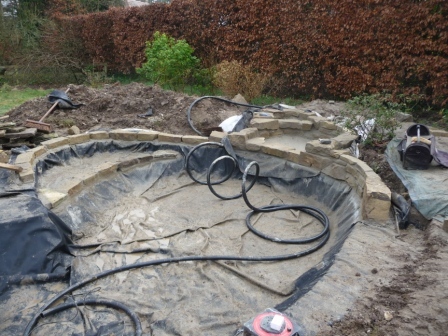 One of the items on the wish list was a water fall to give the sound of running water and we managed to provide some interesting York stone to create the correct amount of movement that would fit in with the rest of the garden. 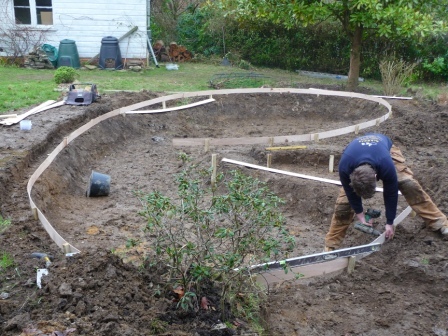 It is very easy to get carried away with a single project in a garden if that is you main focus but with Jon at the helm proportions were maintained and when the pond was completed it sat very comfortably in its surroundings. Bigger is not always better! 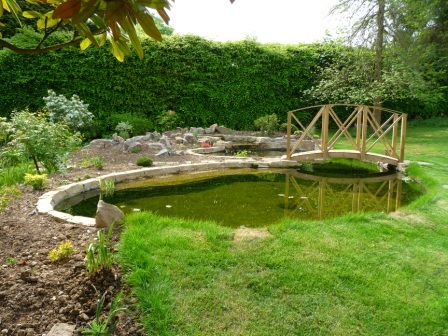 A couple of months to settle in and the pond sits comfortably in its surroundings.